Overseas demand drives output, with 13.4% growth in February taking year-to-date output to 301,004. Surge in exports offsets falling home production, down -7.4% in the month and -5.6% year-to-date. Double-digit growth in demand for British-built cars last month helped deliver the biggest February for UK car production in 17 years, according to SMMT figures. 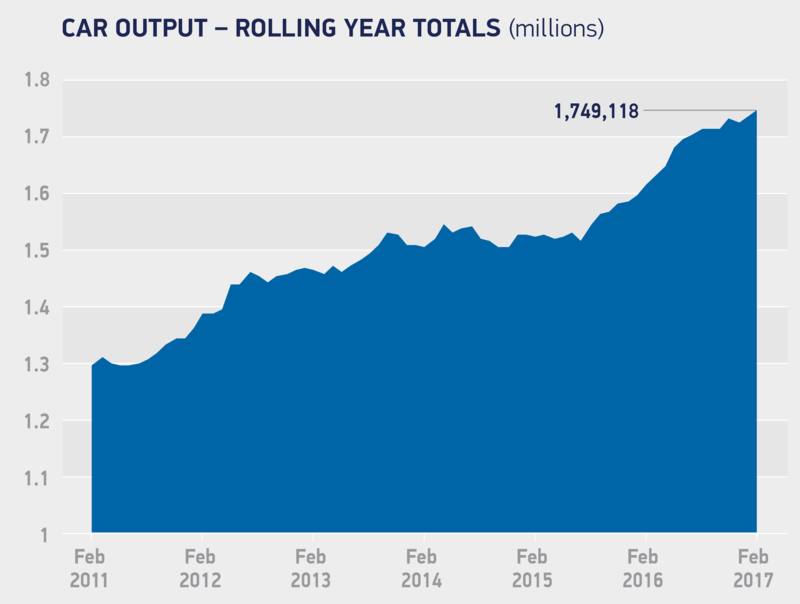 UK production lines turned out one car every 16 seconds in the month, with total output of 153,041 up 8.0%, as exports grew 13.4% to 118,898 units. The performance helped to drive overall year-to-date production past 300,000 for the first time since 2002, with output rising 7.8% to 301,004 units.2 In the first two months of the year, exports of UK-made cars grew 12.1%, with 236,834 units shipped abroad, offsetting a decline in domestic demand of -5.6% to 64,170. Today’s figures illustrate the continuing global popularity of British-built vehicles and the export-led nature of the industry. With eight out of every 10 cars we produce destined for international markets – and half of those for customers in the EU – we must avoid barriers to trade, whether tariff, customs or other regulatory obstacles, at all costs. To do otherwise would damage our competitiveness and threaten the continued success of UK automotive manufacturing.